A few years ago I was researching layouts and grid structures on the web when I stumbled across this awesome article written by Pierre Marly from Teehan+Lax – Designing Faster with a Baseline Grid. Typography is the foundation of great design. Where ever possible I like to make use of the traditional typographic scale (6, 7, 8, 9, 10, 11, 12, 14, 16, 18, 21, 24, 30, 36, 48, 60, 72, 80, 96) as mentioned in Robert Bringhust’s book The Elements of Typographic Style. It’s a great way to establish a clear hierarchy and vertical rhythm for your project. 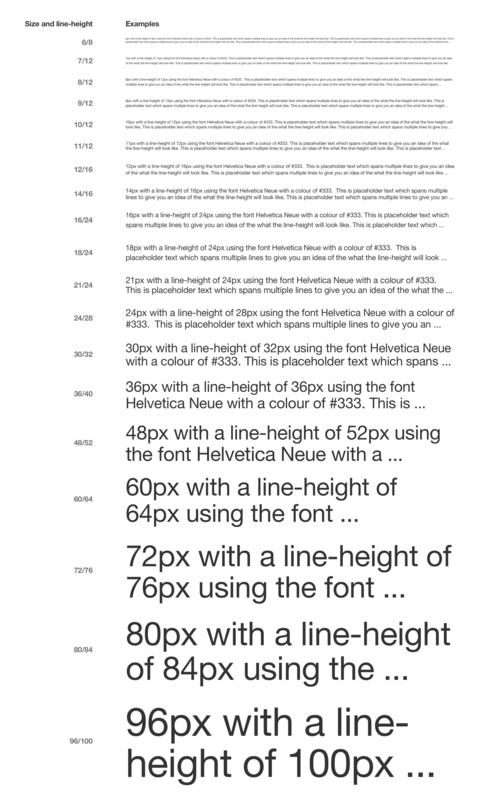 A 4px baseline grid provides the consistency and flexibility to design for both web and mobile without having to rethink about different measurements.